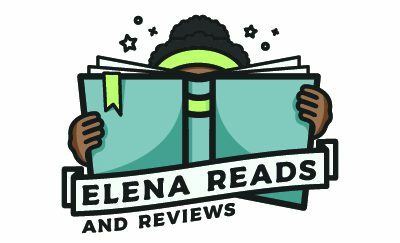 Note from Elena Reads: Today’s guest review comes from Bridget, a fellow kidlit blogger. Now in fourth grade, she started her blog, BridgetandtheBooks, when she was in first grade! This is a double book review of the two new books by Sarai Gonzalez. She is a young girl who became famous on YouTube. She is a little older than me and has released two books with more coming in 2019. In Sarai and the Meaning of Awesome, her grandparents have to leave their home because they can’t pay the rent anymore. The owner would like to sell the house. Sarai decides to take action and does stuff like a lemonade stand to raise money for her grandparents. She learns that no matter how many lemonade stands or dance concerts she does, she wouldn’t be able to raise enough money for the house. It is an important lesson about how grownup life is. Sarai in the Spotlight is about her entering in a school talent show. She can’t be with her sister because their grades are separated. They have to be in different talent shows. There is also a new girl who she doesn’t know well but they become friends. The new girl likes to write in her journal at recess instead of playing. The girls partner up for the talent show. This is a book about teamwork. These books remind me of Jasmine Toguchi and her adventures. Both are also diverse books written by authors from that culture. They really understand what is feels like to be the character. That helps the book be more interesting, valuable and unique. It also is a strong reason to have these in your library. The Sarai books are quick chapter books like Jasmine Toguchi. They would be great for kids just into chapter books or looking for an easy read. For me, these books would fall into my book candy category (but they meet my reading teacher’s log rules so YEA). My daughter loves Jasmine Taguchi – we will have to check these out!